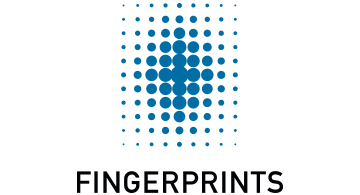 Fingerprints is a world-leading biometrics company. We believe in a secure and seamless universe where you are the key to everything. Our solutions are found in millions of devices and are used billions of times, every day, providing safe and convenient identification and authentication with a human touch. Our proven biometric technology brings a whole new level of security to your payment cards. No more skimming, no more forgetting which card has which PIN, no more choosing “safe” but boring restaurants, and no more uncertain payments. We bring worry-less payments to a world in which everyone can be trusted. IT’S SMART, IT’S SAFE, IT’S A WORLD WHERE YOU ARE THE KEY TO WORRY-LESS PAYMENTS. Every day we buy things – small things, big things, dear things. We do it in the grocery store, the café on the corner, our favorite restaurant, or in that small market on the other side of the world. There are lots of ways to make a payment. Some give you a better sense of security than others. Our proven biometric technology adds a new level of security and convenience to your credit and debit cards. As the ways of paying are increasing and getting faster, more convenient, and more common, we are making them safer. And we are making you the key to worry-less payments.